Since news broke Saturday morning that New York Times number man Nate Silver would be leaving the Grey Lady for the bright lights of ESPN (and, occasionally, other networks owned by its parent company, Disney), media watchers and fans have wondered what convinced him to make the jump — and what to expect when he moves his “brand within a brand” at the end of August. Politico’s Mike Allen claims to have a great deal of information on the matter. Extensive air time on ESPN and ABC, specifically during elections and conventions where Silver is said to have “clicked” with political personalities George Stephanopoulos, Jonathan Karl, Jeff Zeleny, and Rick Klein. A role in the Oscars — his predictions did well for the Times this year, and with the Oscars set to air on ABC through 2020, at least, they’re sure to become even more important. A high-profile digital platform made up of verticals devoted to topics geared toward Silver’s interests including weather, education, and economics, among others, which use statistics and numbers he could bring to life. 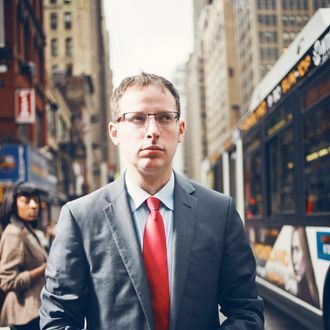 His flagship 538 blog will return to FiveThirtyEight.com, which currently clicks through to NYTimes.com as part of a three-year licensing agreement that ends next month. While we wait for actual specifics of Silver’s new ABC/ESPN contract to emerge, it’s a good time to remember what he gave up at the Times, where negotiations were reportedly so intense publisher and chairman Arthur Ochs Sulzberger Jr. and CEO Mark Thompson got involved: “a plan that would give [him] staff of six to 12 bloggers to focus on a variety of topics, modeled on Ezra Klein’s Wonkblog at The Washington Post” with deputy news editor Megan Liberman as his editor. In the end, however, Allen claims that Silver, who got his start as a baseball statistician, really wanted to go back to writing and thinking about sports — and he reportedly sometimes “felt unwelcome in the Times Sports section, and seemed to struggle to fit into its culture.” Or, you know, maybe it was just time for a change.